A book I ended up deeping caring about. Along the ways the characters had made their way into my heart and their problems felt like a friend's problems. The universe is extremely unique and welcome and the concept is refreshing. Ambassador Mahit Dzmare arrives in the center of the multi-system Teixcalaanli Empire only to discover that her predecessor, the previous ambassador from their small but fiercely independent mining Station, has died. But no one will admit that his death wasn't an accident—or that Mahit might be next to die, during a time of political instability in the highest echelons of the imperial court. Now, Mahit must discover who is behind the murder, rescue herself, and save her Station from Teixcalaan's unceasing expansion—all while navigating an alien culture that is all too seductive, engaging in intrigues of her own, and hiding a deadly technological secret—one that might spell the end of her Station and her way of life—or rescue it from annihilation. 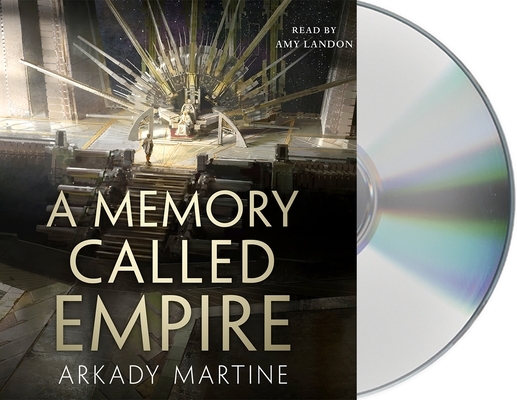 A fascinating space opera debut, Arkady Martine's A Memory Called Empire is an interstellar mystery adventure. Arkady Martine is a speculative fiction writer and, as Dr. Anna Linden Weller, a historian of the Byzantine Empire and a city planner. Under both names, she writes about border politics, rhetoric, propaganda, and the edges of the world. Arkady grew up in New York City and, after some time in Turkey, Canada, and Sweden, lives in Baltimore with her wife, the author Vivian Shaw. Martine's debut novel, A Memory Called Empire, kicks off the Teixcalaan series.